Similar in shape to the newer Airstream mini travel trailers, here’s another compact travel and camping option. It’s called a “Barefoot.” It’s based on the idea of the retro camping tourers that have seen a new resurgence of popularity in the last couple of years. These stylish RVs have more rounded lines than the basic rectangular shapes of most commercial trailers. 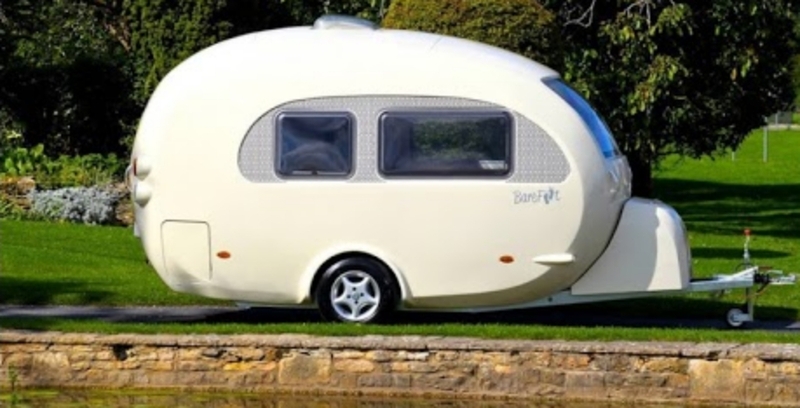 This one was designed by some students at Coventry University, and they took the idea of a couple’s caravan to come up with the unit, which is a single piece GRP.